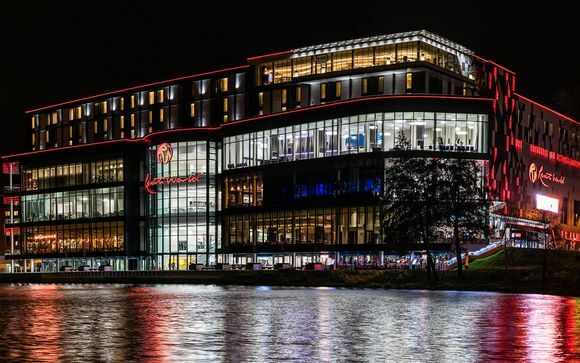 Enjoy an exciting location at the centre of the action within Resorts World Birmingham, overlooking Pendigo Lake and boasting an on-site Casino. You will enjoy a four star stay within a Standard Room, decked out in elegant design with smart technology. Choose from a plethora of on-site bars and restaurants; a highlight is the views from the Sky Bar. 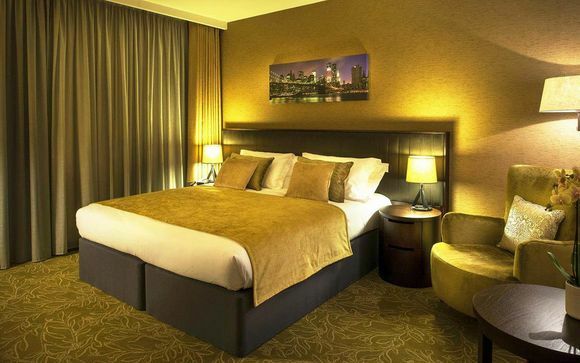 Wonderfully well-connected, the Genting Hotel is located at the NEC Birmingham, right next to Birmingham Airport and Birmingham International Station with fantastic links to the UK motorway network. Grab a picnic and sit next to Pendigo Lake – a tranquil spot amongst the bustle of the nearby event locations. To add an extra dose of excitement to your stay, book to see a concert or a film and indulge in a lovely meal at the NEC afterwards. 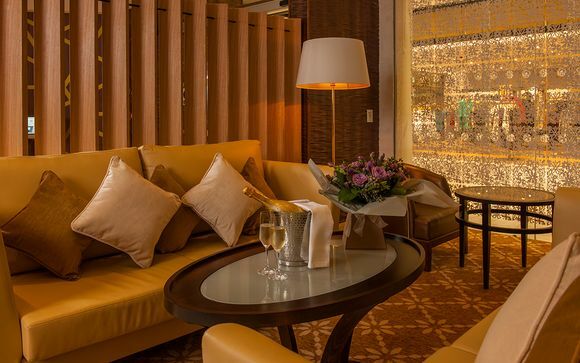 The stylish Genting Hotel is your sanctuary within the Resorts World Birmingham. With a contemporary design, the hotel houses a gym, a restaurant, sky bar, a casino and 178 luxurious rooms and suites. 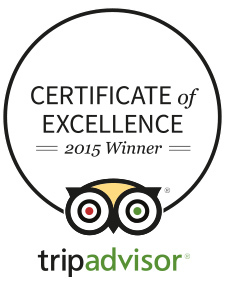 Expect a warm welcome followed by a warm stay, benefitting from complimentary Wi-Fi and a lively atmosphere. Please note: Spa Access is not included within this booking. Spa treatments with access (strictly subject to availability) can be made directly with the hotel. Expect stunning design and technology within the guestrooms at Genting, featuring every amenity that one might look for at a 4* property. The Genting Hotel has a range of bars and restaurants to choose from. From breakfast to pre-dinner drinks in High Line or an evening sipping cocktails in Sky Bar. With over 40 craft beers to choose from The World Bar is the place to go for the ultimate craft experience in the Midlands. Infulenced by the raised public park that meanders through Manhattan’s Hell’s Kitchen, Chelsea and Meatpacking Districts, High Line New York Bar & Lounge is an ode to to the eclectic food and drink culture of New York. 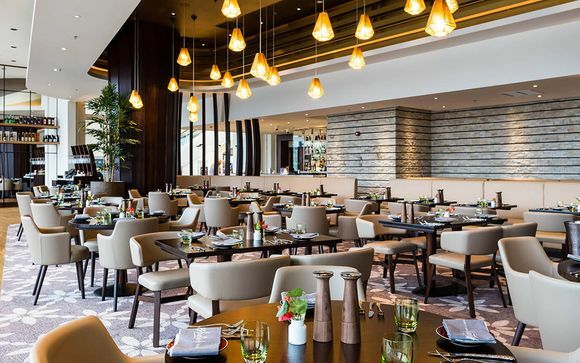 On the top floor of Resorts World Birmingham lies Sky Bar, an elegant cocktail bar designed around a theatrical centrepiece Teppenyaki and yakitori grill. 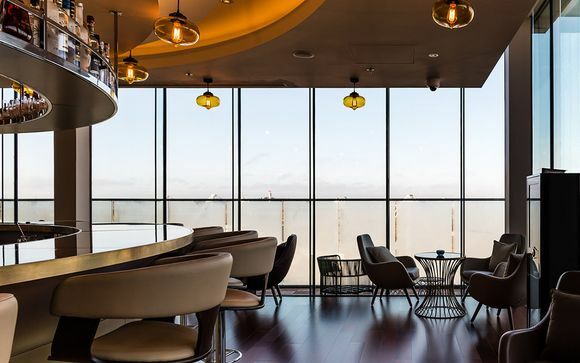 Revel in the panoramic views whilst sipping on a cocktail. An ideal spot to watch big sports events on Sky and BT, live on large HD screens!